HunterMaclean’s annual Women’s Initiative Wine Tasting took place on May 2, 2018, at St. Vincent’s Academy. 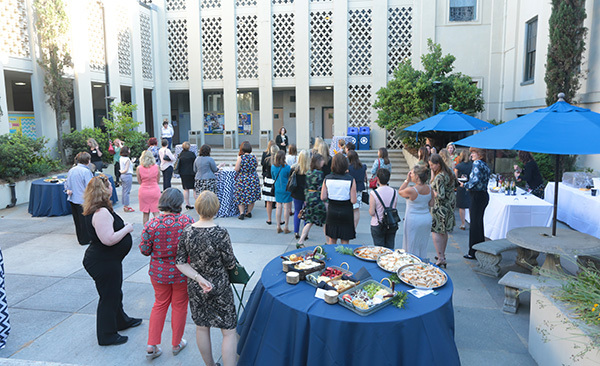 Principal Mary Anne Hogan shared how St. Vincent’s prepares students to become “Women Who Lead.” Kathleen O’Sullivan with National Distributing Company selected the wines, and Thrive Catering provided delicious hors d’oeuvres. The Women’s Initiative unites top area executives, community leaders, business owners and decision-makers to encourage networking and professional development.